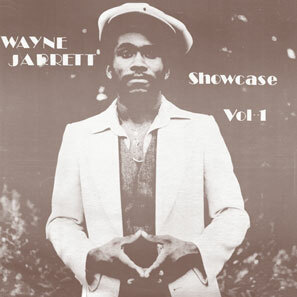 Between stints in JA for legends like Glen Brown and Junjo Lawes, Wayne Jarrett travelled from his Connecticut base to record this album during the same weeks as the sessions for Horace Andy's Dance Hall Style. These are two of the great vocal reggae LPs of all time. With Clive Hunt in full effect, Showcase Vol. 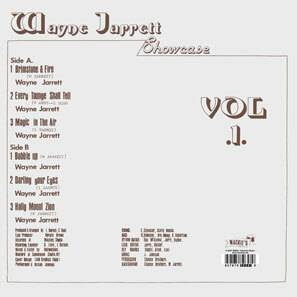 1 follows the six-track dub-showcase format (and Wayne never sounded more like Horace! ), including four unmissable Studio One versions - Azul's deadly Rockfort Rock, Sleepy's Every Tongue Shall Tell (with outrageous Isley fuzz), yet another Heptones via Leroy Sibbles, and a killer Drum Song.